Good Evening--I've got a Grungy Birthday for you this evening. Linda at Studio L3 is leading us on a journey through Tim Holtz techniques. Pay close attention now, there are 2 clickable links in the underline under the picture. The second link will take you straight to the instructions for the shabby, grungy background. Pretty cool. I started out with manilla card stock, black paint dabber, VersaMark, clear embossing powder, then I had an Aqua paint dabber, but the other colors are white and sky blue Claudine Hellmuth Studio paint. I just love it when I follow the instructions and come out with a fabulous result the first time, even if I did substitute a couple of things. 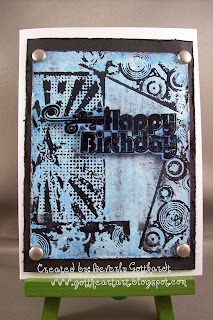 This Inkadinkado birthday stamp fits in very well with this Stampers Anonymous stamp. I heat embossed it with black, cut it out, dabbed some broken china and chipped sapphire on the background, and popped it up. I love the dramatic effect. I hope you like the new redesign of my blog, another dramatic effect. That must make me a Drama Queen this week. 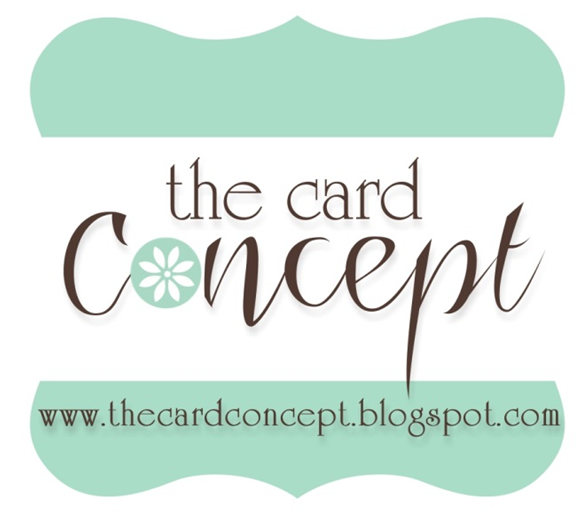 I've had my blog since the end of 2008 and I thought it was time for some changes. I've been wanting a 3 column set up for awhile now and with the help of my good friend Linda from Multicoloured -Imagery who designed my new header and gave me some very helpful pointers, Gott Heart Art is back posting tonight. Love all your wonderful comments. thanks for the nice words--you are really stepping up into professional blogging...and the new mixed media emphasis on your work is fabulous! 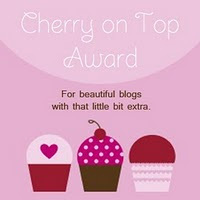 now you've made me that more anxious to upgrade my own blog, so I hope you can teach me the page thingy soon, okay? This is great - a really fab card and bold design! Well done. I love your card. The technique is perfect. Your colors and stamp choices make it perfect for a masculine touch. 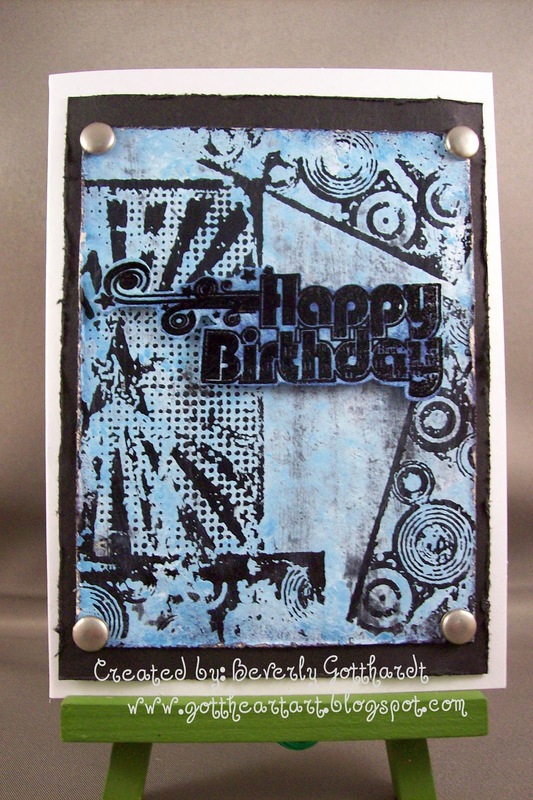 Your stamps work wonderfully w/this technique & your paint combination is wonderful!